We are all aware of how the sun can cause multiple health issues if we are overexposed to it. Preventative measures are a necessity and things such as wearing sunglasses, headwear and sun cream go without saying. There is a commonly known saying that “mad dogs and English men go out in the midday sun”. However what about protecting ourselves from the sun when we are not “out in the midday sun”? We can still receive damage whilst we are indoors at home. However, most of us don’t even consider it because we tend to assume that we are safe whereas in actuality if we are sitting next to a window or in a conservatory for an extended period of time it can still create issues. Not only that but we could end up with a red arm or an embarrassing mark on one side of our face. So how can you go about creating adequate protection from the sun in our own homes? Think of cars with tinted windows. Although many people have them installed for purely aesthetic reasons their true purpose is to minimise glare and overexposure to sunlight. As well as this it keeps the inside of the car cooler than it would be without tinted glass. Window film in homes provides exactly the same benefits but, obviously, for one’s property rather than vehicle. A great way to understand how window film can be of benefit is to look at any furniture you have which is near to a window. It is likely that it will have been stained or faded by the sunlight beating down on it and being magnified by the glass. Now consider this effect on human skin rather than furniture. 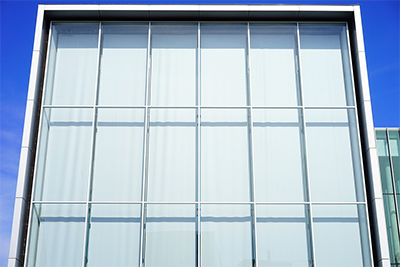 Window film is an easy way to mitigate the effects of sunlight. It will reduce glare, block out some of the harmful rays and also keep your home cooler which could potentially aid you with air conditioning bills. Another method you could use to help reduce the incoming sunlight is through indoor or outdoor blinds. Blinds clearly can be pulled up or down as you choose and will help to shield you from the sunshine. It is possible to buy ones made from see through materials or completely opaque ones depending on your preference. They are also helpful as a deterrent to thieves when pulled down whilst you are out. Awnings are another similar but slightly different option. These can come in many shapes and forms. You could have traditional, retractable outdoor awnings installed above your French windows and glass doors. These have more than one function too. Not only can they be extended to block the sunlight coming into the home but they are also great to have as a sun shade for when you are sitting outside on the patio or equivalent. It is possible to install awnings which fit across the roofing in your conservatory and modern day awnings can be electronically controlled or even set on a timer – great for in case you fall asleep in the midday sun next to a window or in the conservatory.